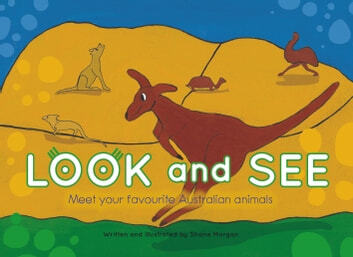 Age range 2-6: This little gem of a book captures the shenanigans of some very cheeky Australian animals. From a kangaroo that hops free, to a dingo that howls with might, this rhythmical yet humble tale takes a different look at some quintessential Australian animals.Look at the emu running so fast …See the emu he caught me at last. Filled with gentle humour that youngsters will enjoy, and complemented with bold illustrations, Look and See will be one of those books that parents and children will read again and again.